The problem with the “Sharing with No One” is that it reports you checking in “Off the Grid.” So your within Foursquare still see that you checked in somewhere. What does it matter if they see you checked in at a gas station. It doesn’t send them a message or advise them of that. It just let’s them know that you’ve been there if they inquire. 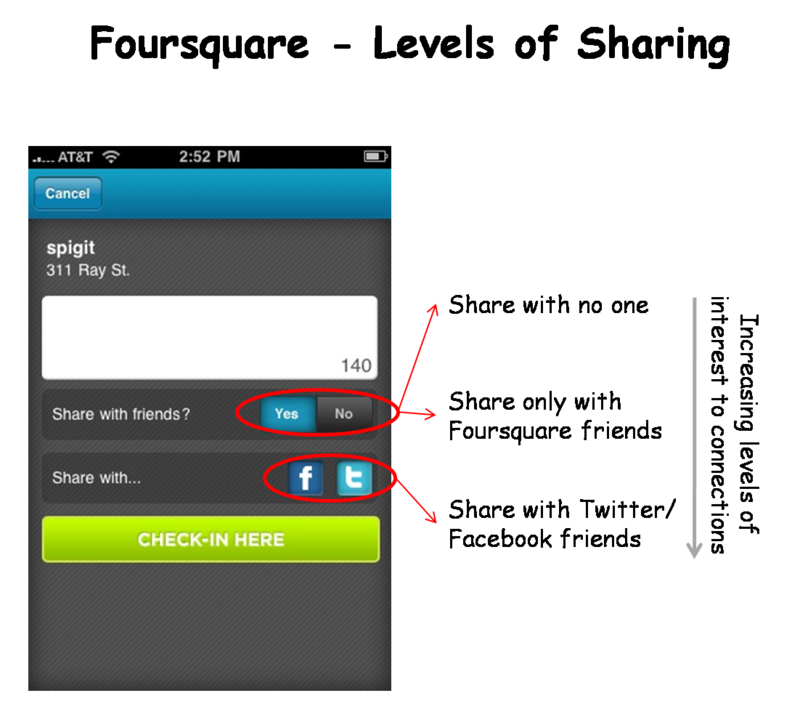 The “Sharing with No One” is more pertinent when YOU are not wanting anyone to know where you are located. Perhaps you’re on a date and don’t want interruptions. I think you’re looking at the sharing aspect in an incorrect way. When I check-in it doesn’t ping my network unless I share via Twitter or Facebook. Within the LBS it doesn’t share info unless someone in my network looks it up regardless of whether or not the check-in is banal. I stumbled upon your blog using yahoo and I must say, this is without doubt one of the best well written articles I have observed in a long time. I have bookmarked your site for other posts. When I sign in into my foursquare on my smart phone everything works perfectly until i click on the “check in” button, it takes me to a blank page and I can’t check in there. why and please tell me how to fix it. Thank you.